I just got back from a great little party to celebrate a pal's birthday. I left this party with a pretty cool gift. 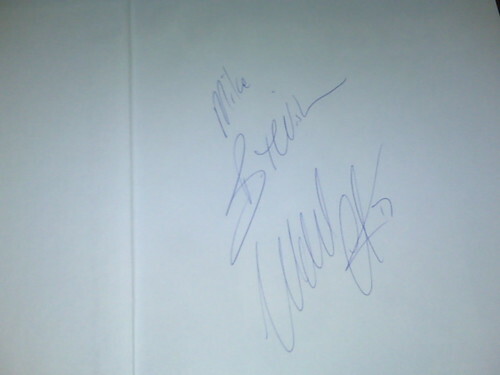 It's Wendel Clark's book "Wendel - My Life in Hockey" and it's autographed for me. Earlier in the week, I ordered a tee shirt from Pucking Hilarious. I ordered WWWD? in black. Hard work is the ethic of the free. I know its been said before, but shouldn't you be able to read a book before you can write one??? Baby steps Wendel, baby steps.